Plans by the UK government to ease congestion on the nation’s motorways by converting hundreds of miles of hard shoulder into permanent driving lanes have been criticised by a group of MPs, who described the proposals as dangerous. The Transport Select Committee said the dramatic change brings with it serious risks and all drivers should be “genuinely concerned” about the safety implications. Motorway traffic in the UK is forecast to rise by 60 per cent between 2010 and 2040, so solutions for expanding capacity will be essential. The idea of permanently converting hard shoulders to running lanes has been put forward as a cost-effective and minimally disruptive answer to this challenge. It is already in place on sections of the M25, M1 and M6, and the plans call for a further 300 miles of all-lane running around the country. However, the committee said there need to be design changes and more pilot schemes in order to prove that the proposals are safe. She added that while ‘smart motorways’, which can open up hard shoulders to general traffic at certain times, have been in place for several years, what is currently being proposed is “fundamentally different”. The committee’s hearing revealed there are significant concerns about the number, size and misuse of refuge areas where no hard shoulder is available. It also noted that levels of public awareness and confidence in the schemes are low, while there are also high levels of non-compliance with Red X signals on overhead gantries, which signal to drivers when a lane is closed. 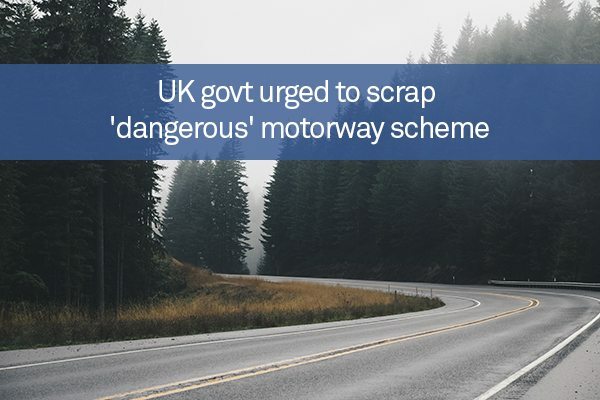 “Government needs to demonstrate considerable improvement in this area, including more emergency refuge areas, driver education and enforcement, before the Committee will endorse the extension of a scheme which risks putting motorists in harm’s way,” Ms Ellman stated.